The Financial Times released a well-produced fifteen minute video last month on the present state of the Chinese economy. 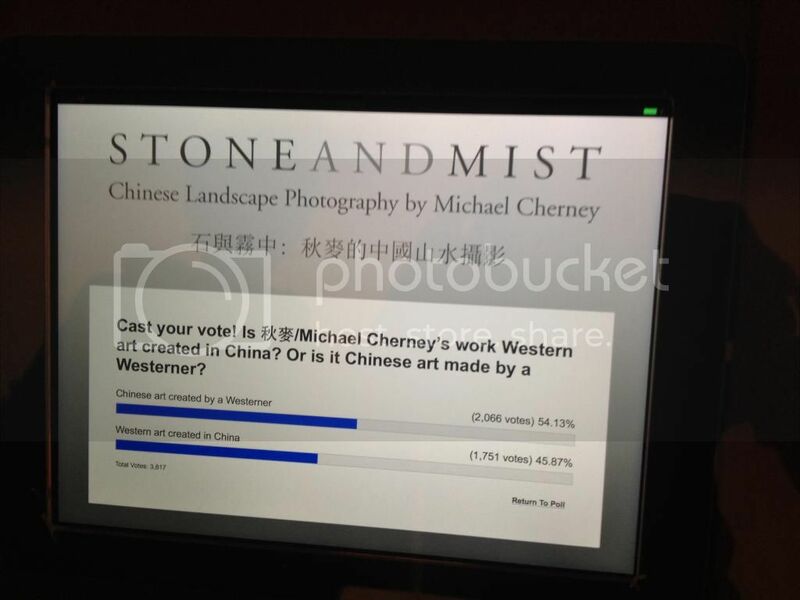 It’s entitled “The End of the Chinese Miracle.” It can be watched here. I like the texture and flavor of contemporary China this video gives. It has long shots of factory life, daily life in urban areas, and scenes in smaller cities and rural outposts. There are also insightful uninterrupted narrations from the factory workers who’ve been the drivers in China’s economy over the past decade. The most important point highlighted in the video is the difficulty that those who only just recently began to participate in China’s new economy over the past decade now face. Folks from the countryside who, during the low hanging fruit years of China’s boom, could easily go to a big city to find work now don’t have as many options. The big factories in Chinese megalopolises manufacturing goods for the rest of the world just don’t have the demand anymore for the endless supply of rural Chinese citizens. There are now millions of people throughout China wondering where their place is in the country. In the long-term, macro view, there is still a lot to like about China’s position in the global economy. It is set up well for, I think, continued growth in its prominence and importance. There will be a tough transition coming, though. The explosive growth of the past twenty five years will not be able to be replicated. It will be a grind and serious test of the country’s leadership to continue to meet the demands of the population who has begun to taste the fruits of a higher standard of living. 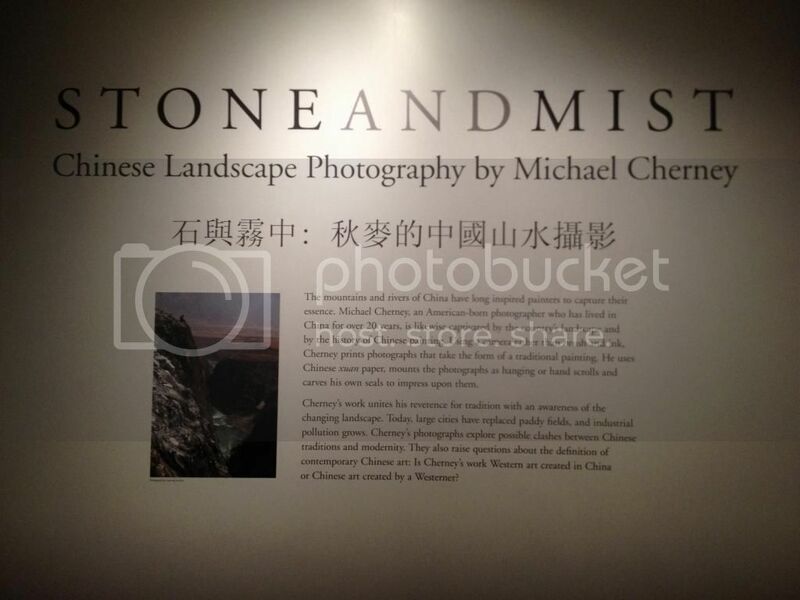 I headed over to the Nelson-Atkins Museum of Art yesterday to catch the relatively new exhibit- Stone and Mist: Chinese Landscape Photography by Michael Cherney. I voted for option number 2 there. I think it's reasonable to select either. This felt like western artwork framed in a Chinese setting. Didn't feel like it had a Chinese soul, per se. Great stuff, though. It's a successful effort that I'd recommend checking out if you are in Kansas City over the next few months. Admission to the Nelson Gallery and this exhibit are free of charge. While at the gallery, Qian and I headed a few hundred feet over to the Nelson's permanent Chinese collection, which is world class. This was just an insane amount of treasure to take in on a cold, cloudy midwestern autumn day. 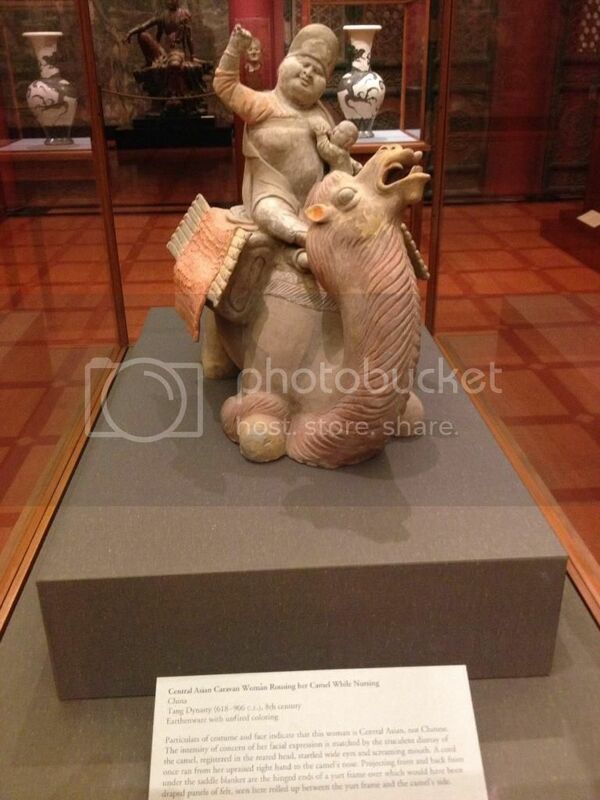 Just did a quick Twitter search for "Xi'an." Came up with a couple funny items. Second, is a rap called "We Livin' in Xi'an:"
Qian is in Xi'an now and I'm leaving to join her tomorrow. Excited to be back in China for the first time in two years(!). Hopefully I'll have some photos and stories from the next two weeks. Frequent commenter on this blog and blogger himself, Ramesh, in the last post I made on the Nelson-Atkins Museum's Journey Through Mountains and Rivers asked me, "Why Kansas City? 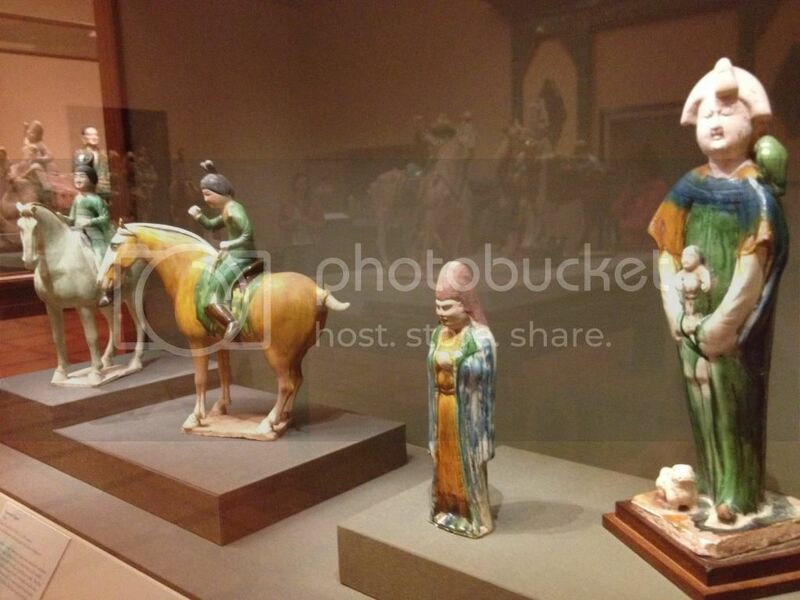 Why does Kansas City have such a great Chinese art collection?" My generic response was that Kansas City is a great arts town. With the Nelson-Atkins Museum, the Kauffman Center for the Performing Arts, and the Kemper Museum of Contemporary Art (among others), it's safe to say that Kansas City is punching above its weight in terms of world-class art per capita. That's not the entire story, though. Earlier this week, I was looking up some information on the scrolls currently being displayed at the Nelson and came across, what I think, are more specific answers to Ramesh's questions. I'm going to post an entire article from the site viamei.com. I normally wouldn't post the entirety of an article like this, but ViaMei - a website highlighting the Xi'an/Kansas City sister-city relationship - appears to be a defunct enterprise. Their last post was in 2007. Kansas City is the gateway to Asia. From where Asian art expert Marc F. Wilson sits in his position as Director and CEO of The Nelson-Atkins Museum of Art, this is not an audacious claim. 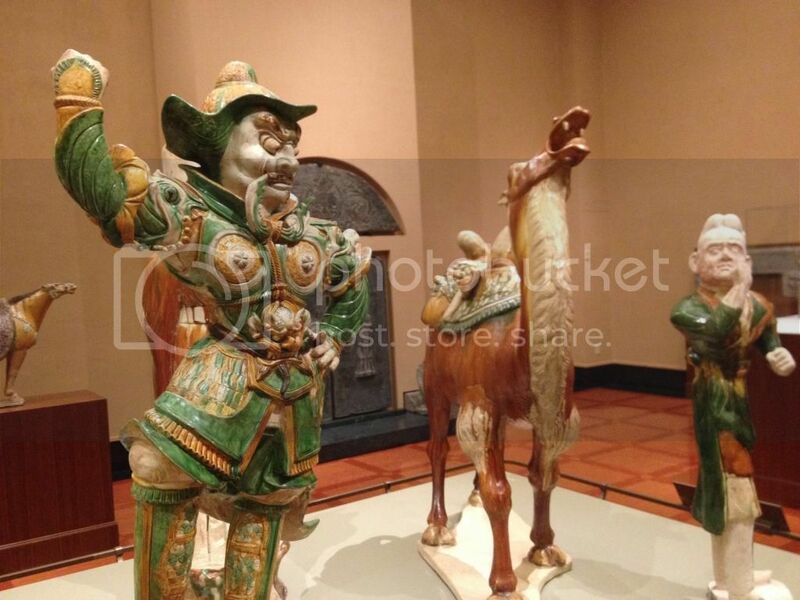 Though situated in the center of the continent, Kansas City's Nelson-Atkins connects visitors with a comprehensive collection of treasures from China's long, unbroken artistic tradition spanning from Neolithic times to the 20th century. Scholarly superlatives aside, what can visitors to the Nelson-Atkins glean from their individual encounters with these rare masterpieces and how did this amazing collection of 7,500 works of Chinese art in every medium and from every historical period, including tomb figures, sculpture, porcelain, furniture and scroll paintings, come to the American Midwest in the first place? The short answer to this last question lies in the person of Laurence Sickman (1906-1988), the Asian art specialist who advised the Nelson-Atkins on purchases of Far Eastern art when the museum's collection was being assembled in the 1930s. Acting as the museum's agent in Beijing, a young Sickman exercised a keen eye and a shrewd business sense to send Chinese art works to Kansas City. Sickman went on to become the first curator of Oriental art at the Nelson-Atkins, and led the museum as its second director, from 1953 to 1977. His book with Alexander Soper, The Art and Architecture of China, first printed in 1956, remains a classic work on the history of Chinese culture. Sickman's legacy of collecting Chinese art of the highest quality is unmistakable in the Nelson-Atkins' holdings in two areas in which he specialized: ancient bronzes and Chinese paintings. A series of ceremonial bronze vessels, weapons and chariot fittings range from about 1200 to 500 B.C.E. The museum's collection of Chinese paintings is among the best outside of Asia, including Ming dynasty masterpieces by Shen Zhou, Wen Zhengming and Lu Zhi. Although the entire collection of fine Chinese art cannot be on view at any one time, a handful of star works representing the highest achievements can convey the creative impulse, cultural context and visual solutions across the ages. Seated majestically in a reconstructed Chinese temple in the Nelson-Atkins, "Seated Guanyin Bodhisattva," is the destination for pilgrims from around the world. This monumental image of the deity of compassion and mercy appeals to those within its gaze today, just as it would have in the 11th to early 12th centuries. Designed to make supplicants feel enlightened, beings were accessible to the living, the Guanyin's emotional approachability offers a sense of calm and inspiration. "Procession of the Empress as Donor with Her Court" is from the Binyang Cave chapel at Longmen, Henan Province. Besides being important as a work of sculpture, the large, 7-by-9-foot limestone frieze reveals clues about Chinese painting techniques in this early period of Chinese Buddhist history. The composition of the eight figures and the modeling that provides maximum effect from light filtering in from the cave entrance demonstrates the great skill of the unknown sculptor. Its Kansas City installation, anchoring the museum's gallery of Early Chinese Buddhist sculpture, attempts to recreate this sense of directional light. The handscroll format of "Fisherman's Evening Song" allows a close-up encounter with the viewer. 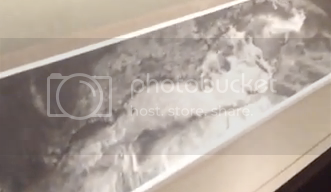 Although nearly 7 feet long, the landscape scroll was meant to be seen only about 2 feet at a time. By focusing on a single section, the viewer can appreciate painter Xu Daoning's virtuosity with ink washes and directness of line. Taken as a whole, the 11th-century painting has been likened to a musical composition, with calm passages swelling to dramatic crescendos, expressing the overwhelming vastness of nature. The jade "Ritual Disc with Dragon Motif" is among the best-known objects in the collections of the Nelson-Atkins. Although its exact function or meaning is lost to the ages, the delicate, 6 ?-inch bi is remarkable from a technical standpoint. Jade, which the ancient Chinese valued more than gold or jewels, is so hard that it must be ground instead of carved. The space between two rings of nearly transparent jade is filled with small, spiral bumps the size of kernels of grain. Two tigers on the outer rim befit this object's likely role in the grave of a great prince or statesman. Besides promising a rewarding experience of visual enjoyment, the Chinese collection in The Nelson-Atkins Museum of Art invites a better understanding of human nature and the creative impulse to Western and non-Western visitor alike. Via the Nelson-Atkins -- in the words of Wilson, who began his career there as a Ford Foundation Fellow under the tutelage of Sickman -- Kansas City is the gateway to Asia. There's still a lot I don't know or understand about the Nelson's collection of Chinese art and Kansas City's relationship with China in general. Seeing that I'm a China news/history/culture junkie living in the middle of America, these topics are something I'll probably be exploring more in depth as time passes. I was born and raised in Kansas City. It's also where Qian and I have ended up after moving from Xi'an to the US in 2009. Kansas City isn't the most amazing place on Earth, but it's a surprisingly interesting place in a lot of respects and I'm proud of where I grew up and currently live. I'm excited to learn more about its relationship with my other favorite place on the globe - China. I'll surely be posting whatever more I find on these topics here. The Nelson-Atkins Museum of Art - probably the biggest treasure in Kansas City - has a wonderful, free China exhibit going on now until April 28th - Journey through Mountains and Rivers: Chinese Landscapes Ancient and Modern. On display are some of the museum's most prized Song Dynasty (960 - 1279AD) paintings and scrolls that "because of their fragility, will not be displayed again for ten years." And then, as the centerpiece of their China exhibit, one tremendously large modern painting by Xu Longsen done on an epic scale. 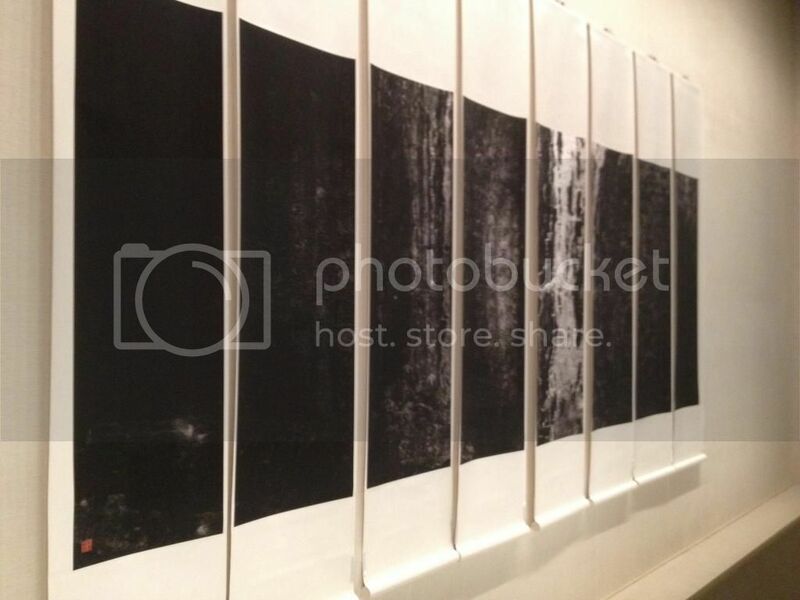 Several of the pieces on display are scrolls that span several feet when laid out. Moving from right to left, the scrolls tell a story. Mountains, rivers, pagodas: the paintings are the ideal that many think of when they envision centuries-old Chinese art. The detail and great condition of the pieces are mind-boggling. I could hardly believe what I was looking at. Having a dozen or so master works laid out in a small, quiet room (that Qian and I were the only people occupying for a few minutes) is simply awesome. 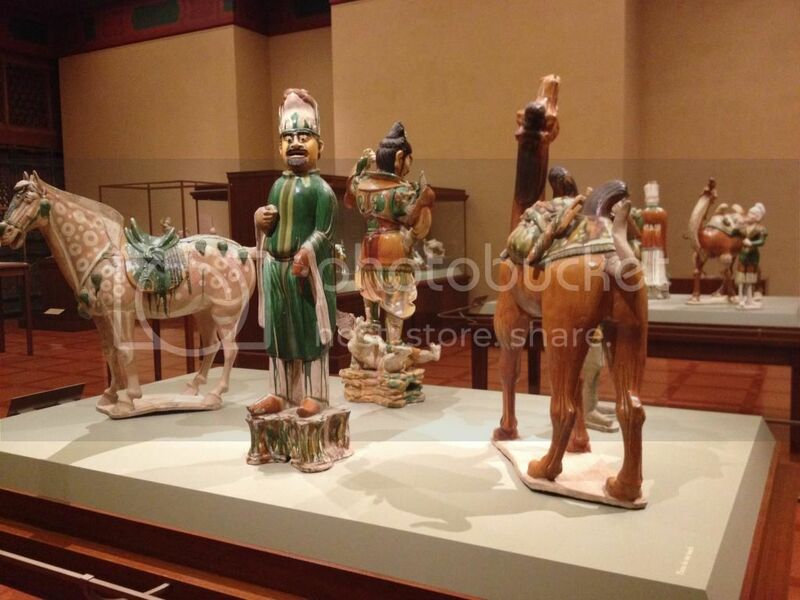 It was hard for me not to think when viewing these ancient works that it's a good thing that these pieces left China in the late-19th and early-20th century. It's much better, in my opinion, that these pieces be on display in Kansas City than burned up during one of Mao's chaotic, anti-intellectual campaigns. The other highlight of the Nelson's China exhibit - Xu Longsen's contemporary piece - is similar in some ways to these ancient scroll paintings. Xu is strongly influenced by nature and the Daoism. His abstract work, which took years to complete, is quite a sight. If you'll be in Kansas City or the midwest over the coming few weeks, you need to come check out this exhibit. I'd be happy to go with you! Entry to the Nelson is always free and this special exhibit is as well. 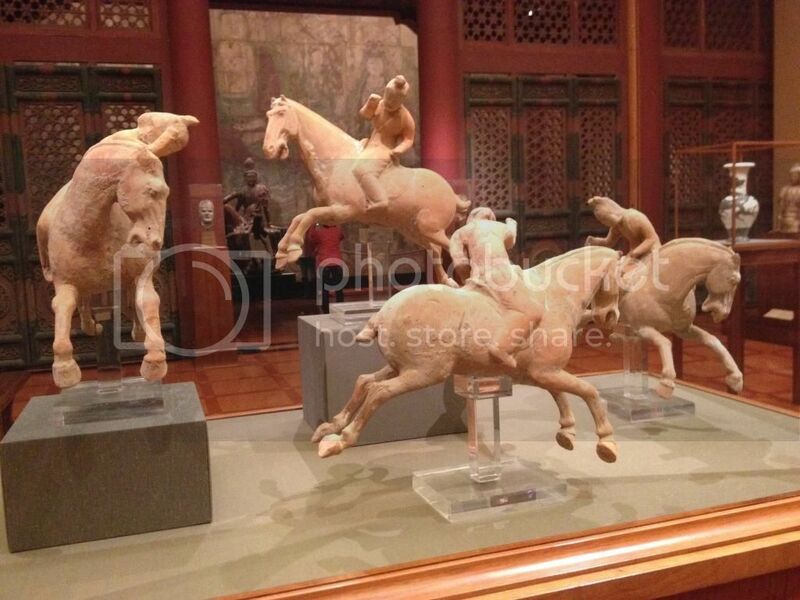 Qian and I are going to go on a tour of the museum to see these pieces again tomorrow. I'm looking forward to spending a little bit more time learning about these pieces since my first trip, when I snapped these photos, was a little rushed. 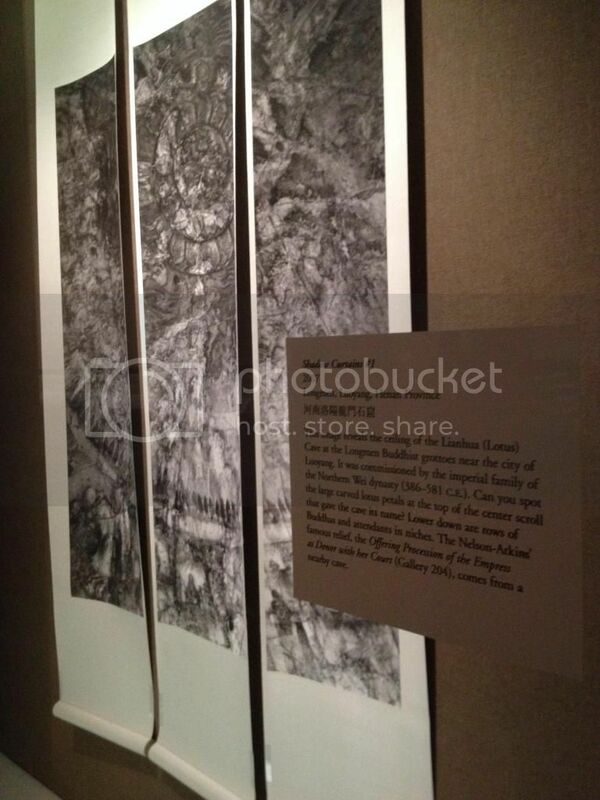 Edit - The Kansas City Star has two pieces today about these China exhibits. Here is the one on the centuries-old master works. And here is the one on Xu Longsen's mammoth painting.